It may be difficult to place a dollar amount based on injuries you or a loved one suffer in an accident as there are many factors to consider. Those who are injured by someone else and file personal injury claims may be eligible to receive financial compensation based on their physical and/or emotional harm. Medical bills, lost wages, insurance coverage, if you've got questions call me as soon as possible to get answers. It is extremely important that I get involved as soon as possible in order to take steps to identify and preserve important evidence. See my FAQs (Frequently Asked Questions) for quick help. California personal injury law is one of the most extensive areas in civil law; personal injury law is designed to protect those affected by the negligence, recklessness, or inaction of others. Also referred to as "tort law," it encompasses a wide range of legal claims, including car accidents, bicycle accidents, motorcycle accidents, pedestrian accidents, commercial and semi truck accidents, construction accidents, wrongful death, and product liability. 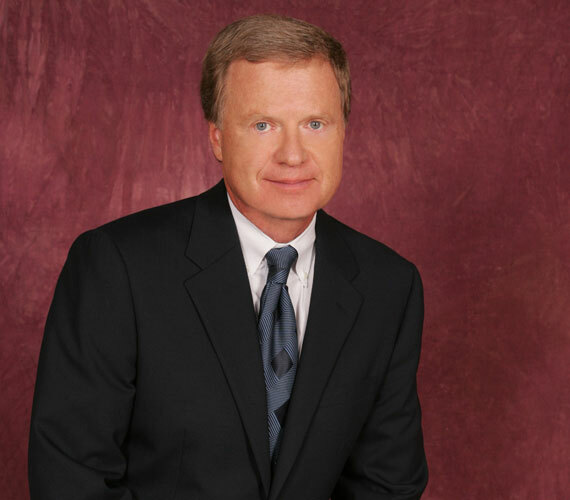 Dean Goetz is an experienced and effective defective hip implant attorney. If you have had your defective hip device removed and replaced, we have important information for you. You probably have questions, please contact us for a free consultation. Dean is currently investigating cases involving defective knee replacement devices, IVC Filter, and Taxotere Chemotherapy lawsuits. If you are considering pursuing a personal injury lawsuit, it is wise to contact an attorney who has the legal experience, expertise, and skill required to help you build a strong case and successfully obtain the compensation you deserve. Dean Goetz is always available to his clients to explain the legal process and to let them know what is going on with their case. When you retain Dean Goetz as your attorney, he personally handles your case. He does not have some new attorney handle it. 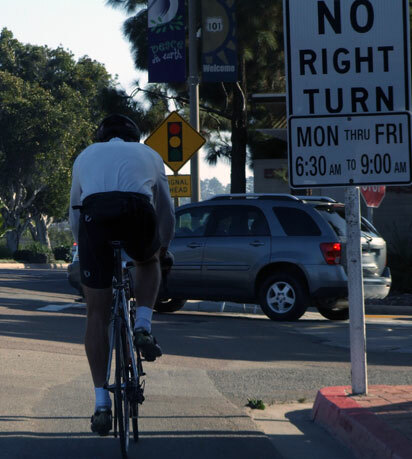 San Diego personal injury attorney Dean Goetz has represented and obtained sizeable settlements for numerous bicycle riders whose cases were rejected by other attorneys because they did not want to sue a City or a large road building contractor for negligence and damages. My law office in the Ocean Building is right on California Highway 101 which is the most biked road in America and everyday all year long I see many bicyclists going by. All types of cyclists enjoy our year round bicycling weather from teams to recreational riders and families pulling trailers, even bicycle commuters. Bicyclists often face prejudice just because they are on two wheels, similar to the type of bias that motorcyclists experience. This is why it is important, especially if you are injured, that you find an experienced bicycle attorney who will fight for your legal rights and who is experienced in handling bicycle accident cases. When a bicyclist is riding in the bicycle lane (typically right side of the road), or simply riding on the right of the main busy traffic lane, motor vehicles may be turning right through the bike lane, often unexpectedly in front of the bicyclist. This can result in a serious collision, It may trigger the bicyclist losing control of the bicycle. Or it may necessitate the bicyclist needing to force a fall to prevent contact with the automobile. For cyclists, getting car doored is too common and extremely dangerous resulting in serious injury and even death. Trucks are very dangerous for bicycle and pedestrians, even small cars and motorcycles and all vehicles deal with underride and sideguard crash dangers around semi tractor trailers. 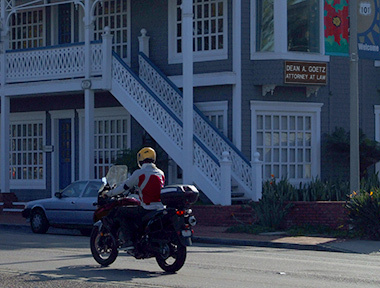 San Diego personal injury attorney Dean A. Goetz has had many years of experience and demonstrated results successfully handling motorcycle accident injury cases and will carefully evaluate all aspects of your case to obtain the maximum benefits for you. 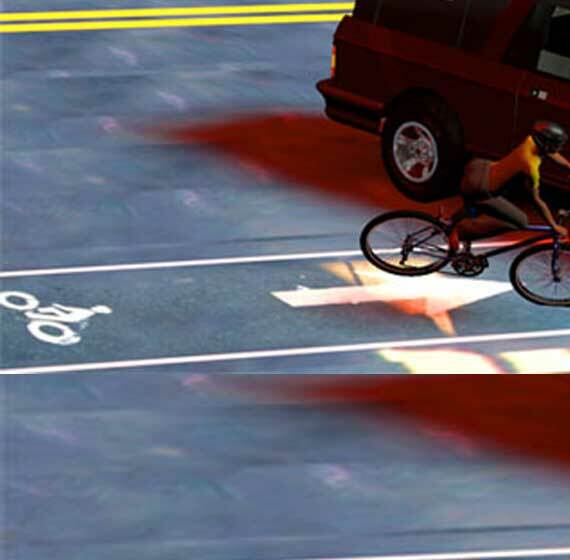 The bicyclist may try to avoid the accident and may fall as a result of a collision avoidance maneuver. In many cases, a collision doesn't have to occur for injury nor expensive damages to the bike to occur. When a bicyclist rightly avoids a car turning in front and cutting them off, she may lose control of the bicycle, and crash. Get uninsured, and underinsured motorist insurance. Here's why. We looked at all motorcycle accidents in San Diego County from 2015 through August 1, 2018 by looking at the total number of motorcycle accident incidents, the severity of injury, and the number of fatal motorcycle accidents reported in each and identified the most dangerous roads. Particularly in the area of trucking accidents, it is important to hire an attorney with the experience necessary to find out who's at fault and do proper and in depth accident investigation. Quick help: Witnesses, pictures, getting help for all injured, accident reconstruction, preserving evidence, when you need to file an accident report, reporting to your own insurance company. Over the last few years, the FDA and/or several manufacturers have issued recalls of knee systems or components. For example, in 2015, the FDA announced a Class II recall of the Zimmer Persona Trabecular Metal Tibial Plate. 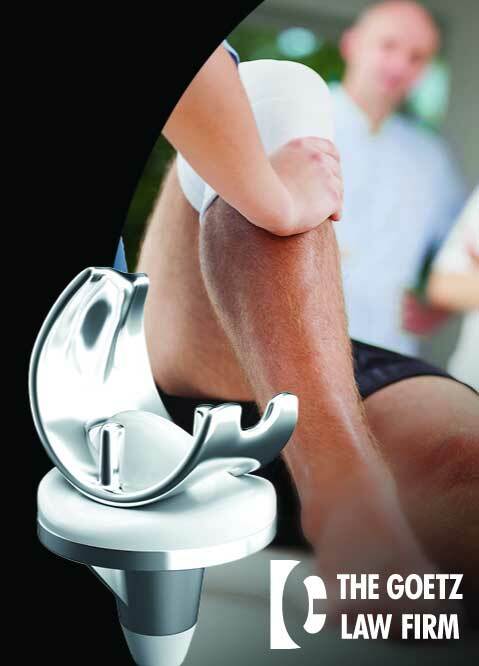 In addition DePuy Synthes Attune® Knee System has had an unusually high number of FDA complaints from recipients. 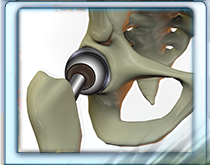 Did You Have Your Defective Hip Device Removed and Replaced? Talk to an experienced defective hip lawyer now. We have important information for you and we are here to help. Free consultation. San Diego personal injury attorney Dean A. Goetz and the Gomez Law Firm were the attorneys for Mr. Loren Kranksy, the Plaintiff in the first Depuy ASR XL trial in the US which took place in Los Angeles, California. 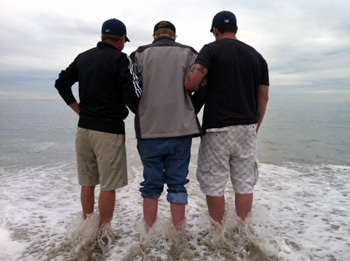 March 8, 2013 at 9:38 a.m. PST A jury found Depuy liable to Mr. Loren Bill Kransky today in a Los Angeles Superior Court. The jury awarded Mr. Kransky $8,000,000 in general damages and $328,330 in compensatory damages. Attorney Dean Goetz of the Law Offices of Dean Goetz and John Gomez of the Gomez firm represented Bill Kransky, who was a Montana resident. We are proud to be the Kransky lawyers. This is the FIRST verdict in the United States against Depuy and it is for $8,328,000. If you have a hip device and you want the lawyers who represented Mr. Kransky on your side, call Dean Goetz 858-481-8844. Individuals who received the Stryker Rejuvenate Modular Hip System or the Stryker ABG II Modular-Neck Hip Stem may not be having symptoms right now, but they will likely have symptoms in the future. If you wait until you have symptoms to seek legal representation, it may be too late. The law requires all lawsuits to be filed within a certain period of time, and, if they are not, the case is forever barred. Therefore, if you suspect you have a Stryker implant, contact Dean Goetz right away for a free consultation. 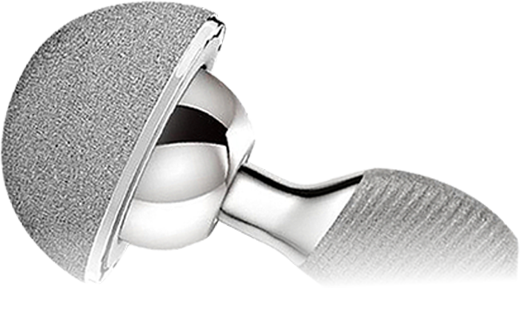 Time may be running out for Stryker patients with the Stryker Rejuvenate Hip Stem and the ABG II Modular Hip Stem. 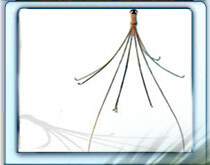 Adverse event reports have shown that IVC filters can fracture or migrate causing significant injuries. The US Food and Drug Administration (FDA) has issued numerous safety warnings regarding the use of retrievable IVC filters. Stryker has issued a voluntary recall of its Rejuvenate Modular Hip System and its ABG II Modular-Neck Hip Stem. 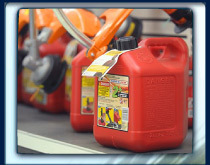 The company has recalled these products because corrosion and wear can damage surrounding tissue. NBC news has reported that there have been at least 11 reported deaths and approximately 1,200 emergency room visits from injuries suffered from these RED PLASTIC bombs since 1998. 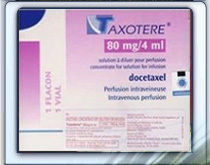 Claims have been made that Taxotere knew that its drug caused permanent hair loss, but did not warn consumers. In 2014, scientists from the National Cancer Research Institute announced that they found up to 15% of patients taking Taxotere suffered from significant long-term hair loss. Monsanto has allegedly known about the potential harm Roundup could cause for years but failed to put a warning label on its product. 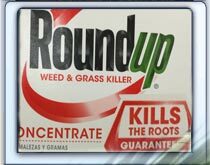 Evidence is circling that suggests toxicology reports given to the EPA showing glyphosate to be nontoxic were ghost written by Monsanto and later attributed to other researchers. 1. How do I get my medical bills paid? 2. How do I get my lost wages paid? 3. I have the California minimum auto insurance requirement coverage what coverages do I have after an auto accident? 4. How do I make an auto accident injury claim against the other driver's insurance? What is comparative negligence? Why does it matter for my auto accident claim? 5. What is Medical Payments Coverage? 6. How do I know the other driver's insurance policy limits? 7. What if the at fault driver is Uninsured OR does not have enough insurance to cover my personal injury claim or even pay for my medical bills? 8. What is my claim worth? 9. How can I get medical treatment if I don't have medical insurance? 10. What can I do if the other driver was uninsured? 11. The doctors are coming after me for unpaid bills, can you help? 12. Will I get to talk to an experienced California personal injury attorney if I call? 13. What if I can't get to your office for a consultation? 14. Why should I hire Dean Goetz? 15. Should I call even if I am not sure if I need a lawyer or if I think I may be able to handle my claim on my own? 16. What type of accident cases do you handle? 17. How soon after my accident should I call an attorney? 18. How long will it take to settle my California personal injury case? 19. Will pursuing my California personal injury case take up a lot of my time? 20. Will I have to go to trial? 21. Do I need a California personal injury attorney? 22. The doctors are coming after me for unpaid bills, can you help? 23. Will I have to pay any money up front for filing fees, court costs, expert witness fees, or any other costs? 24. Do you handle work related injuries? The California bodily injury liability (BI) is part of your mandatory auto insurance policy; this coverage pays for wage loss, medical bills, etc. 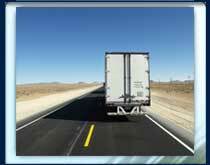 from the at fault driver's Bodily Injury Liability auto insurance. However, if you are at fault in the auto accident, your bodily injury liability coverage will not cover your own injuries. You will either need to open a personal injury protection (PIP) claim, if you chose this optional medical coverage, or you will need to use your own health insurance. In California, the at fault driver's mandatory Bodily Injury Liability coverage of at least $15,000 will pay for your medical bills for the first $15,000. Any amount over this will be covered by your health care insurance, if you have that. If you purchased under-insured or uninsured motorist coverage, you will have additional coverage for your medical bills to rely on in the event that your medical bills exceed the other driver's Bodily Injury Liability (BI) coverage. If you purchased medical payments coverage with your own auto insurance policy, that will also be part of how you get your medical bills paid. The California bodily injury liability (BI) is part of your mandatory auto insurance policy by law and this coverage pays for wage loss from the at fault driver's insurance coverage. If you were at fault, then your own medical payments coverage with your own auto insurance policy will also be available to help you regardless of fault. In the event you were involved in an accident with an uninsured or underinsured motorist, if you purchased this type of coverage you may have additional help. It is important to understand that California minimum auto insurance coverage is for liability insurance which compensates a person other than the policy holder for personal injury or property damage. max limit for one person's injuries, medical expenses, etc. = $15,000 ( from the bodily injury liability, or, BI); or, if two or more people are injured, the max limit for the accident injuries, medical expenses, etc. = $30,000; max limit for damage to other people's property (their car, their fence, etc.) = $5,000. California is an, "At Fault State," so your auto insurance company and the company for the other driver will pay damages for medical claims, wage loss and other expenses based on the degree of fault. In California, "fault," is based on what is sometimes called, "comparative negligence, or comparative fault." What this means is that an injured person can recover damages even if the injured person was held to be 99% at fault for the auto accident, but that recovery of damages will be reduced by the amount of fault, in this case 99% reduced. This means that you can still recover money for damages and injury even if you are held to be partially at fault for the accident. Auto insurance companies will rarely give out this information. You need to hire a personal injury attorney who will file a lawsuit. Once that lawsuit is filed the insurance company is required to provide your lawyer with a copy of the insured driver's policy limits. Often, uninsured and under insured (UM / UIM) coverages are offered as a package in auto accident insurance additional coverage. Uninsured or under insured motorist (UM / UIM) auto accident insurance coverage protects the policy holder involved in an accident with a driver who either does not have liability insurance or who does not have sufficient bodily injury liability limits to pay for the medical bills of the driver not at fault in the accident. It is a California Law that very automobile insurance company must offer uninsured motorist coverage, and they are required to have a signed waiver on file if the coverage is rejected. If you were seriously injured by an at fault driver doesn't have enough, "Bodily Injury Liability," coverage, you could get help from your own insurance policy if you purchased what is called, "under insured motorist," coverage. This is an additional auto insurance coverage beyond the minimum California state law. For example, if you are involved in an auto accident and the at fault driver only had the minimum California Bodily Injury Liability coverage of $15,000 and your medical bills exceed $100,000, your own insurance, the underinsured motorist coverage part, will pay the remaining $85,000, depending on your policy limits that you purchased. There are additional complexities as to how these bills will get paid and by whom, but you should be provided for by the additional coverages that you added if you got this additional insurance. Very often bicycle, pedestrian, or motorcycle riders find themselves the victims of a hit and run driver. Statistically, uninsured drivers are the most dangerous on the roads; they tend to be involved in more accidents, as well as more serious injury accidents, and driving older more dangerous vehicles. If you purchased this uninsured motorist coverage and your medical bills exceed the limits of your UM / UIM coverage limit, you can still be covered by your own auto insurance medical bills coverage (personal injury protection - PIP). Together, these additional coverages, beyond the minimum insurance coverage required by California law, can greatly help you and give you peace of mind. The value of your accident injury claim depends on the amount of your incurred and future medical expenses, your loss of income, and the severity of your injuries. Contact me for a free consultation so I can assess your claim and tell you what to expect. If you don't have medical insurance, we will immediately find you a doctor who will help you. If you have uninsured/underinsurance motorist coverage, you can recover your damages from your insurance company. You will be able to recover for your medical bills, loss of income and pain and suffering even if the other driver had no insurance. I will contact the health care providers and I can usually get them to wait until the case is settled to get paid. When there is not enough insurance coverage to pay all of the medical bills, I can usually get healthcare providers to substantially reduce their bills so my clients maximize their net recovery. I am very skilled at getting health care providers to reduce their bills, frequently by more than 50%. Yes. If you want some answers right now call because everyone who calls for a free consultation gets to talk to me, Dean Goetz, right away or later the same day. I will make arrangements to come to the hospital, your home or your office. Because Dean Goetz is an excellent experienced lawyer who will personally fight for you every step of the way. He understands how traumatic it is to be injured in an accident that was caused by another person's negligence. He and his staff will treat you like family and do everything they can to make sure you are compensated for the damages you have suffered. Yes. I can answer your questions and advise you on the best course of action. I can frequently give you an estimate of what the insurance company may offer to settle your claim. If your best choice is to settle without an attorney, I will tell you. I handle motorcycle injury accidents, bicycle injury accidents, auto injury accidents, construction accidents, dog bites, boating injury accidents, slip and fall injury accidents and any other case where someone else causes a personal injury. Call me immediately at 858-481-8844. Do not give the insurance company a statement until you have consulted with a lawyer. I return all calls and e-mails as soon as possible. If you have suffered a personal injury, you need to know right away what to do, how to do it and what you can expect. You need to know how much insurance coverage is available to cover your medical expenses and lost wages. You need answers so call 858-481-8844. It depends on the nature of your personal injury claim. Some cases settle within a few weeks or months. Larger personal injury cases typically take longer to settle. Probably not, since we will be the ones spending time on your case. We may only need to meet for the initial interview and then we can just talk over the phone or just meet when you want to. If the other side takes your deposition or we have to go to court, it will take more of your time. The vast majority of personal injury cases are settled before trial. However, I treat each case as if it is going to go to trial so you have to be willing to go to trial to maximize your settlement. If you want to maximize your recovery in a significant injury case, you do need an experienced personal injury attorney. If you are not represented by a lawyer you will have to deal with the insurance companies. Their goal is to pay you as little as possible. You are not experienced so you are at a severe disadvantage. You have no ideas what your claim is worth so you can't know what a fair settlement amount is. An experienced personal injury attorney can help you determine that amount and reach a fair settlement. 22. How do I pay your legal fees? You will not pay a retainer or a fee up front. I handle California personal injury cases on a contingency fee basis. This means YOU DO NOT OWE ME A LEGAL FEE UNLESS I OBTAIN A RECOVERY FOR YOU. I do not ask for any attorney fees up front. If there is no recovery, you will not pay a fee. No, I will advance all of the costs including investigative costs, filing fees, court costs, deposition costs, and expert witness costs. I know that most people cannot afford these costs up front, so I forward these costs up front. I am willing to pay the costs and expenses required to make sure you maximize your recovery. 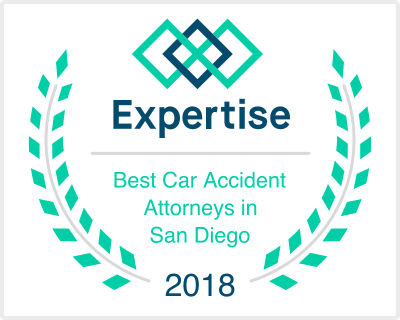 Spending a few thousand dollars on a good expert witness can make the difference between obtaining no settlement and getting thousands of dollars for your claim. Before you hire a lawyer, make sure that the attorney is willing to advance the monies needed to adequately pursue your personal injury case. Otherwise, you may be forced into taking a minimal settlement. Yes, if a third-party (someone other than your employer, a co-employee or yourself) negligently caused your injury. In other words if your injuries are caused by someone other than your employer, such as another driver, faulty equipment, general contractor, owner, or subcontractor, I will handle your case. If you only have a first-party workers compensation claim, I can refer you to a lawyer who specializes in these claims. 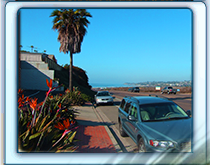 Dean Goetz is a top California trial lawyer and San Diego car accident attorney. 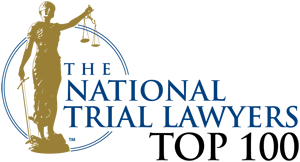 Learn more about hiring your personal injury attorney and the process of recovering after an unexpected injury. I have taken third party construction accident cases that other attorney have rejected and obtained large settlements for my clients. I use highly skilled accident reconstruction experts who can uncover the evidence required to prove third party negligence. Case for a client who was seriously injured in a truck v car accident where the driver of the truck had only $100,000 insurance coverage. I was able to get this seven figure settlement because I identified an additional defendant. I have obtained numerous settlements at trial and in settlement for motorcycle riders who were injured by cars that pulled out in front of them or made left turns in front of them. In most of these cases liability was contested but after I had my investigators and accident reconstruction experts investigate and prepare reports, the cases were settled for most often the policy limits. I have represented and obtained sizeable settlements for numerous bicycle riders whose cases were rejected by other attorneys. These bicycle riders had their cases rejected by other attorneys because they did not want to sue a City or a large road building contractor for negligence and damages. It is a lot of work, but I am proud that I have fought for cyclists rights and succeeded. Contact Dean for a free consultation.